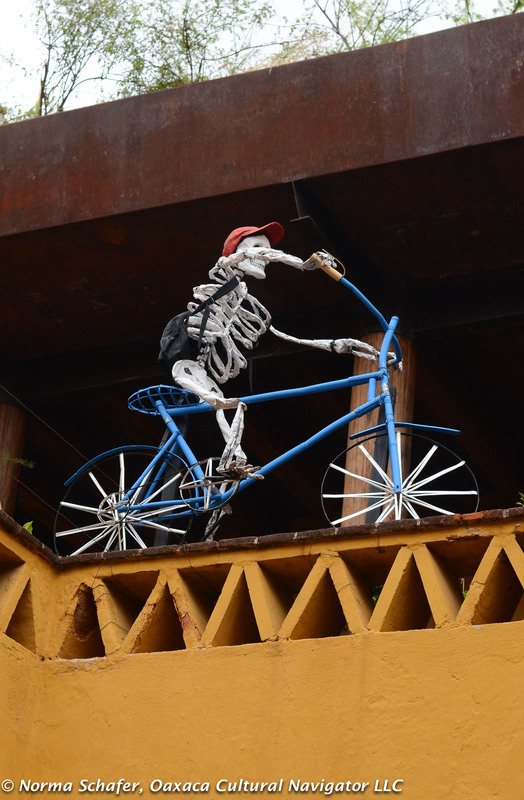 This entry was posted in Cultural Commentary, Oaxaca Mexico art and culture, Safety and tagged afraid, day of the dead, demonstrations, fear, health, Mexico, Oaxaca, safety, tourism, travel, Zika virus. Bookmark the permalink. We just returned from Six weeks in Oaxaca – we were there for Gueleguetza. Our situation is a little different from the average tourist – I am American but my husband is from Oaxaca and when we go there we (and our young children) stay with his mother in her home in a city neighborhood. Three days before we left for Oaxaca in June, there were nine people killed by police in Nochixtlan. The pictures on the web were disturbing, to say the least. There was talk of empty grocery stores. But our family who actually live in Oaxaca assured us that the city was safe, and that while Wal-Mart might be having trouble filling its shelves, the mercados were overflowing as always. On the principle that nothing is ever as bad as the news makes it look, we went ahead with our trip. I agree with the characterization of the roadblocks and protests as annoying rather than scary. We were never prevented from getting to where we wanted to go, but sometimes it took longer than we wished. On the other hand, there were stories of ambulances turned back from roadblocks and even a couple of resulting deaths. I dont know if that is true our not. More difficult to witness was the dearth of tourists and the obvious, very real hardship this was causing to vendors and craftsmen. During what should have been the busiest tourist season of all, the mercado de artesanias was literally deserted – we were the ONLY shoppers there. Mitla was even worse. I felt awful, and tried to buy a little something from several vendors everywhere I went. I could do this because in desperation, the artisans had lowered their prices to starvation levels. I was torn about this – on the one hand, WOW I can afford this nice tapete AND this beautiful Huipil…. but on the other hand i was ashamed to be profiting off the misfortune of these people. Oaxaca is beautiful and you should go…. But I wonder how much longer it will stay beautiful if the government and the teacher’s union cannot manage to come to terms and end these endless, repetitive, damaging standoffs. The ones who suffer most are the ordinary people. How long can they endure? Aimee, I feel your pain about trying to help by buying things. I was in Oaxaca in November 2016 (with 8 women) when the army had occupied the zocalo. They were wearing riot gear and sleeping in the zocalo. We saw no other American tourists. Meanwhile we were treated so well at our hotel, in the shops and restaurants. A woman walking around town was trying to sell woven placemats one morning. One of my friends asked her for purple. She said she had some at home. No more was said. We spent the day away from town. When we returned to our hotel after dinner she was standing there waiting for us with more placemats, including the purple ones. She was desperate. Of course we bought from her. The following New Year’s eve I was there again. We were eating dinner on the zocalo and “my placemat lady” came to our table. She remembered me. We chatted and she hugged me before moving on. A great Oaxaca memory. MA, love this dialog and how easy it is to be generous. It’s especially difficult now, too. When is it not with the pesos converting from 18 to $1USD. Makes shopping a responsibility, a mandate. I employ several people for household help. Not necessarily because I need the frequency, but they need the pesos. They have become friends, so I feel even more responsible. And so it goes. Onward. I have been in Oaxaca for a month. The central point of the article is correct–Americans are probably in little physical danger. But the author understates how wretched and dysfunctional this city is. The majestic Zocolo is packed with “protesters” who are, in fact, bandits and thugs. They fill the area with their waste, human and otherwise. They block the streets and they block the stores and the block the banks. They have half shut down this city, ruining the lives of working Oaxacanos. Meanwhile, the police and the government do nothing. Incredibly, they continue to pay these destructive low-lifes while they do their destruction. In the interests of FREE SPEECH, I am publishing Jeff Kelleher’s response to my blog post. I don’t know Jeff. My response to the comment is this: I don’t think we would have told people to stay away from New York when the Occupy Wall Street movement did just that. There is dysfunction here and in many U.S. cities, and in fact, many places around the world. If Jeff were sensitive to the lives of indigenous peoples here and their dependence on tourism, he might have said, it’s safe, come, but steer clear of the zocalo at this point in time. How he characterizes the demonstrators is another matter that I’m not even going to address. Dear friend; we just returned from six weeks in Oaxaca. 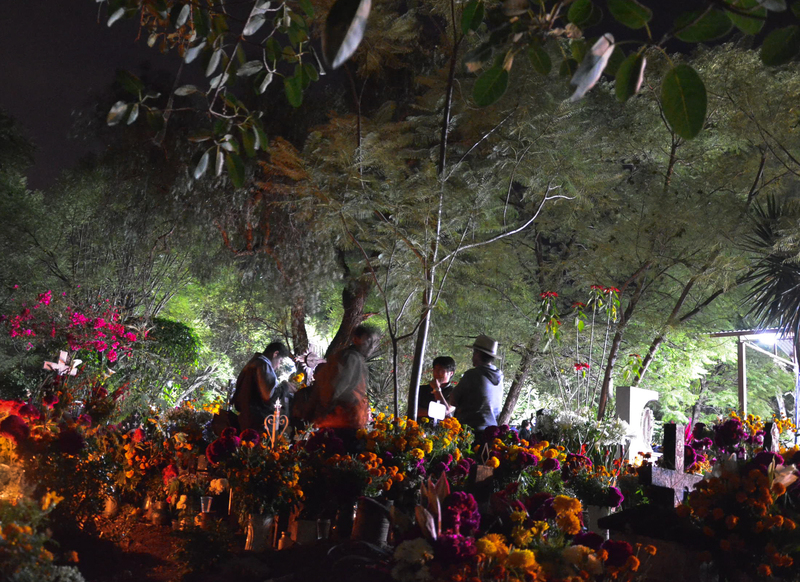 Our tickets out were booked for June 24th – exactly three days after the horrible massacre in Nochixtlan. We seriously considered cancelling our tickets. However, our family reassured us that reports of food shortages and violence were seriously overblown. I am so glad we listened to them! In my experience, nothing is ever as bad as the media makes it seem. YES there were some inconveniences. Yes, we had to negotiate some roadblocks. But reports of shortages were overblown. Oaxaca was still beautiful place to visit – in fact (and I hope this isn’t offensive) in some ways it was more pleasant to the a tourist because of less crowding and lower prices. 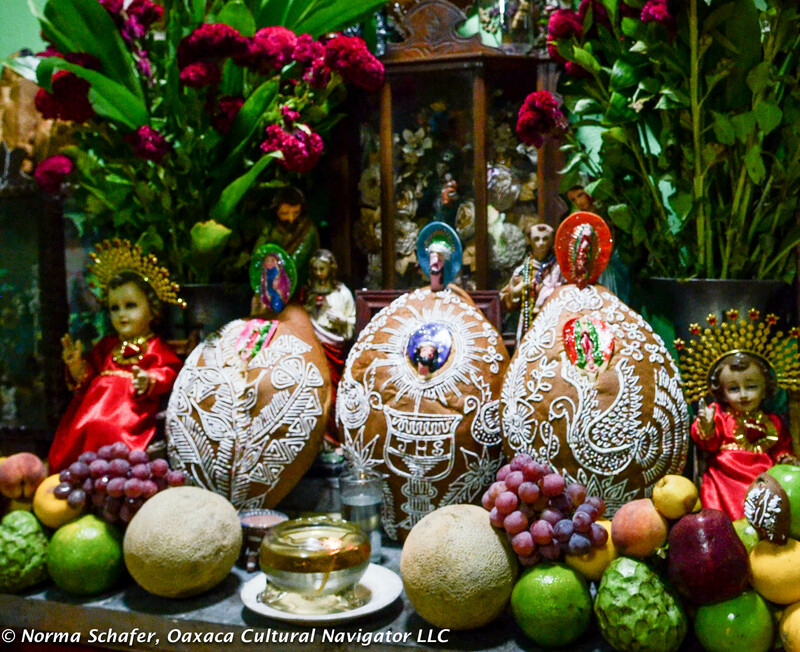 Oaxaca is my husband’s hometown and we will always visit, regardless of social unrest. But I would highly encourage the ordinary American tourist to go ahead and visit. There is no serious disruption of services, and Oaxaca is a world-class destination with so much to offer. We are planning to come to Oaxaca for Dia de los muertos for the first time. 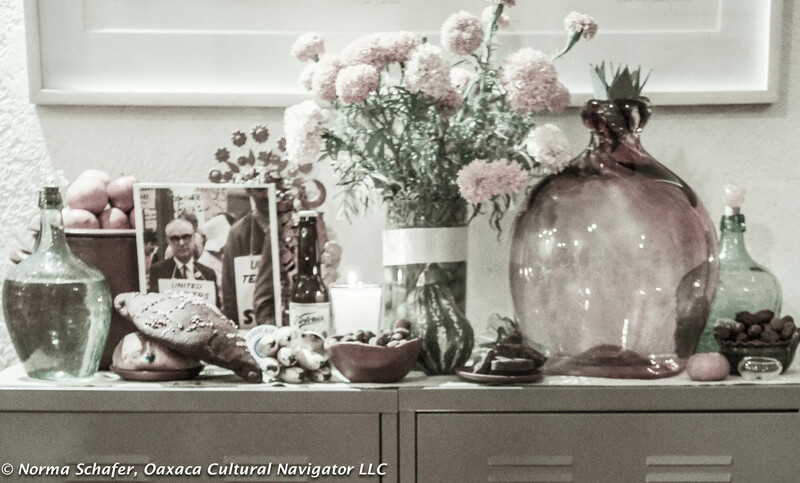 We have been in Oaxaca many times over the past 40 years. It’s too bad American travelers don’t realize there are other sources of information besides the LA Times et al. It is always inspiring to me to see the level of protest that exists in Mexico. Sorry you won’t be there, Norma. It would be so nice to see you. Hi, Pat. I know you will have a wonderful time during this amazing season. I am sorry to miss you. 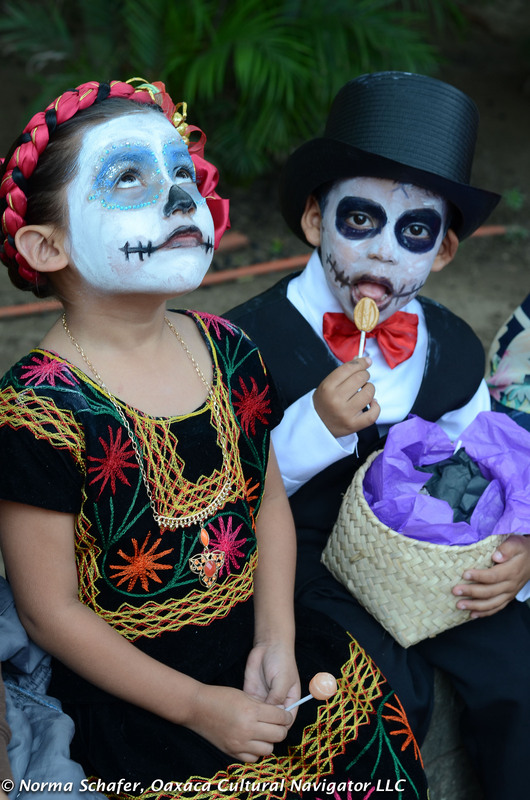 It just didn’t work out for me this year and I will miss seeing many friends who visit Oaxaca for Muertos. Yes, protest here is a way of life, as I’ve said so many times. An inconvenience but not dangerous. There’s lots we put up with in the USA, too. Like jammed freeways, ultra-conservative legislators and the over dependence on the automobile. Oh, well. Who’s comparing? Hi Norma, good to hear. Official US State Dept. page says zika mosquitos do not live above 6000 feet. I checked, Oaxaca City is around 5200, but I expect those particular critters are rare at that elevation, too. Kevin, that’s a good piece of information to know! For those of us over age 50 and not interested in having children, there’s not much to worry about. That’s good news, too. Ignoring appeals from friends to cancel my trip, I just spent another creative relaxing month in Oaxaca and look forward to purchasing a home there. Cultural and artistic expression is unparalleled! At no time did we feel our lives were in any danger and we joined local vendors going about their daily business amid all the teachers’ tents surrounding the zocalo. Juanita, great news about your plan to live here in your own home. Can’t wait! Thanks for adding your insights. 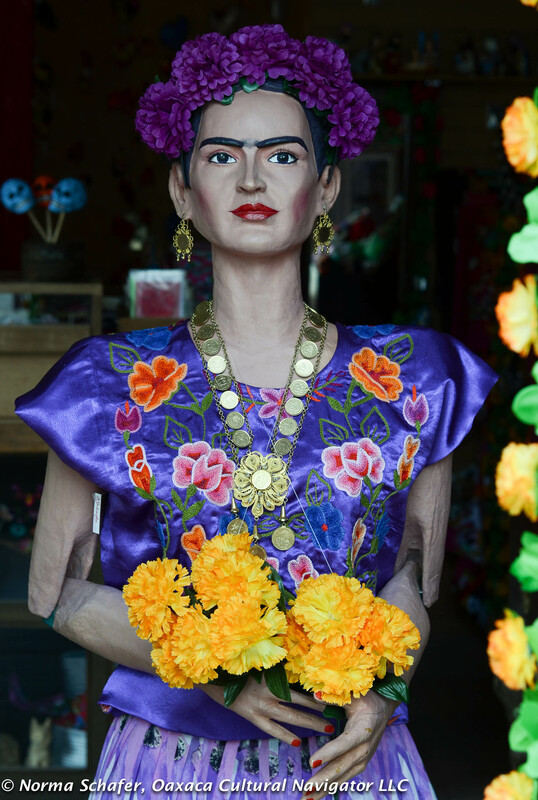 We’re going to Oaxaca for Dia de los Muertos! I trust in our tour company and tour leader. Our hotel is on the zocalo, so it might be a little “exciting”, but we’re not worried. When we visiting Mexico a few years ago, there was a protest in Mexico City while we were there (it was interesting to come out of our hotel lobby and see a line of riot police with their backs to us…) and one on the road to Palenque (all it did was delay us for a bit). Hi Hugh. I hope it won’t be too exciting! Good to trust in your tour operator. They are wise and k ow the ins and outs of getting around here. Enjoy your stay. It’s a great time to be here. I hope it won’t be too exciting either. FWIW, the US State Department Travel Safety page (https://travel.state.gov/content/passports/en/alertswarnings/mexico-travel-warning.html) doesn’t even list the protests… OTOH, it hasn’t been updated since April, but they’ve been going on for a long time, haven’t they? We’re looking forward to our visit! Nothing much going on here, Hugh, except life as usual. That’s a good thing. Onward. My flight is reserved, my apartment is rented, and I’m not changing my mind! 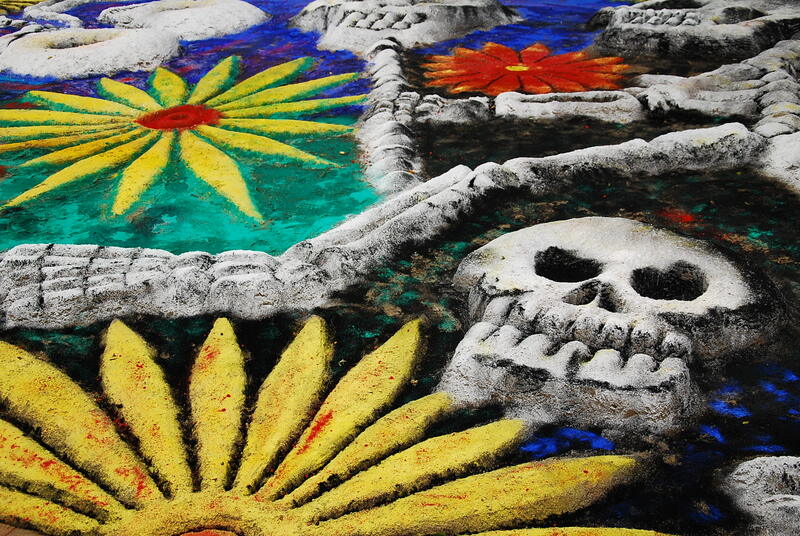 I look forward to my weeks in Oaxaca over Muertos. In past visits, the protests and encampments on the zocalo have been peaceful and powerful, but I did not feel endangered. As with any visit to any place in the world, one has to use common sense about neighborhoods to avoid. Besides, it will be a relief to escape the true craziness of the national election right here in the USA. Good to hear, Winn. I’m sorry to miss you and I know you will have another great time in Oaxaca. I’m grateful that we met here, became friends and share love of place as well as interests. See you next year in Santa Fe if not before! And, PS. Yes, pre election craziness in US can incite emotions, too. Something to be very concerned about! Hi, Norma,I actually have never experienced Day of the Dead in Mexico, as I do not generally like crowds. Yet I’ve been to Oaxaca during other major holidays such as Christmas, Santa Semana, Feb. 20, etc. Yes, crowds, but always so lovely, over a period of 20+ years. Now when I visit, I stay in the Centro and take the time to explore more and more of the countryside….this might be a way to entice me during Day of the Dead. Many of the pueblos have their own wonderful celebrations. Americans, do not give up on Oaxaca! I feel safer there than when I visit Philadelphia, say. Or Baltimore, in spite of great museums, the Aquarium and the harbour. I have visited Oaxaca many times over the last 50 yrs. Every visit is different. I have been there when others were afraid to come and it was still wonderful. The Oaxacans treated us well every single time. When there were few visitors the locals went out of their way to take care of us. Those trips are actually more memorable. I have never felt afraid while I was there. As Norma says, listen to the locals as they know where you should not go. Blockades are annoying, but it is just part of the adventure. Mary Anne, as always, thank you for adding your wisdom to the conversation.